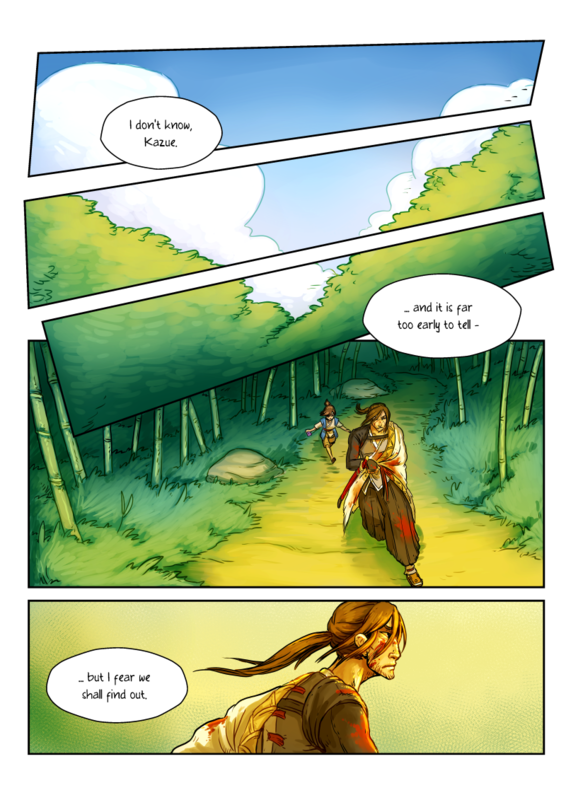 And here we go – faintly ominous final page of chapter 2! Now we head into the chapter-break, and I run around trying to get everything about chapter 3 ready for posting. Spell-checks, adjusting colours, re-drawing stuff that looks terrible, etc., etc. If you want to see what I’m doing in the meantime – and get access to bonus-material, like extra sketch-comics! – please drop by my Patreon or my Tapastic Support-page. It would cheer me up, and you’d get shiny things in return! …no that does not help the worrying, Anna! I HAVE THROWN MY MONEY AT YOU AND THIS IS THE BETRAYAL I GET IN RETURN?